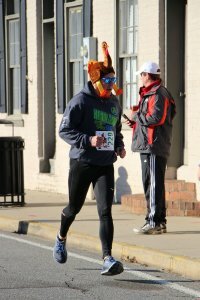 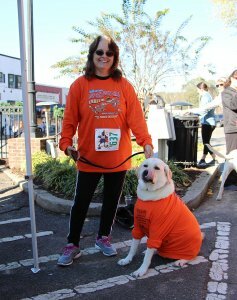 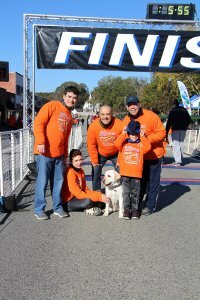 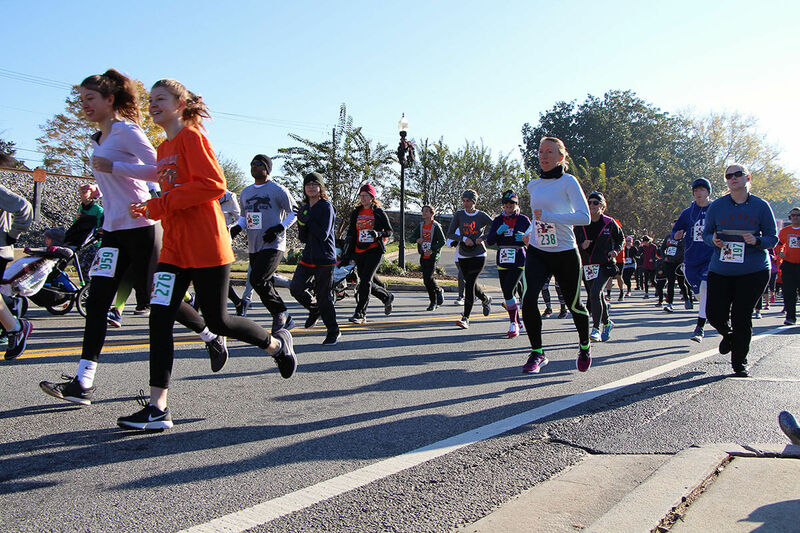 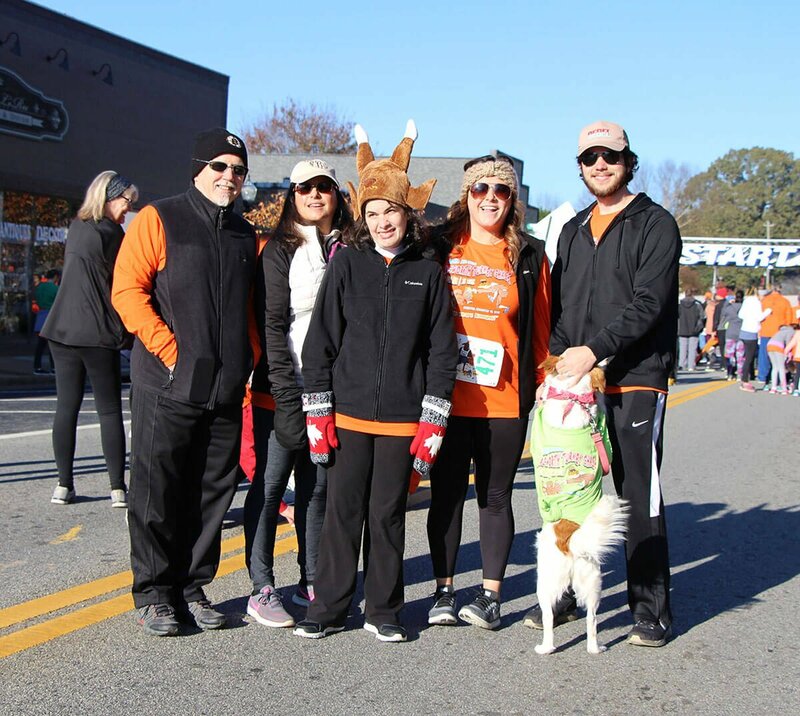 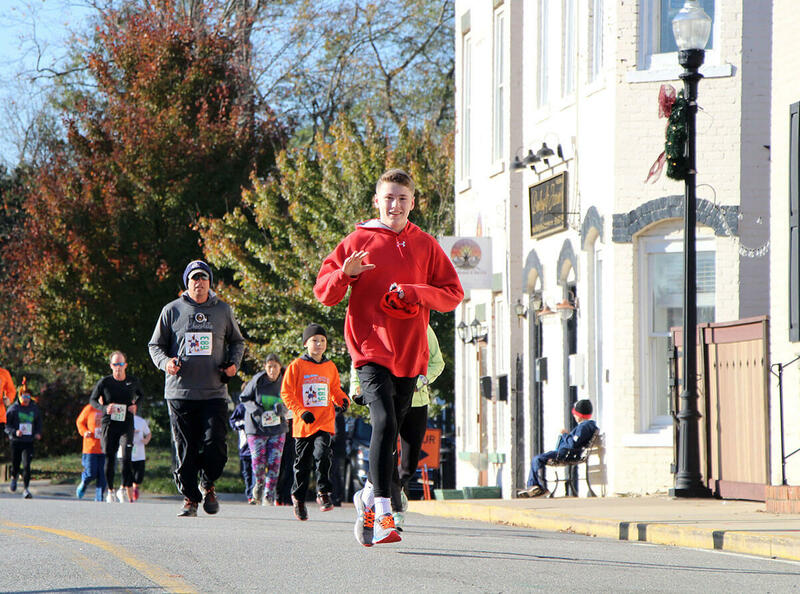 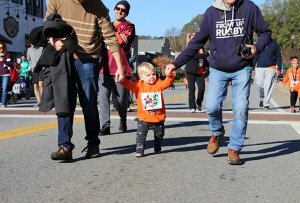 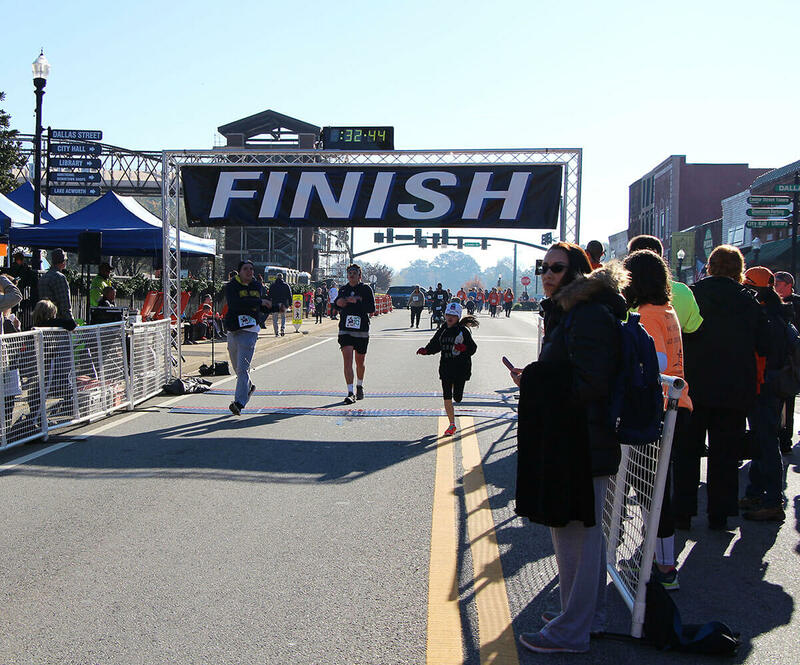 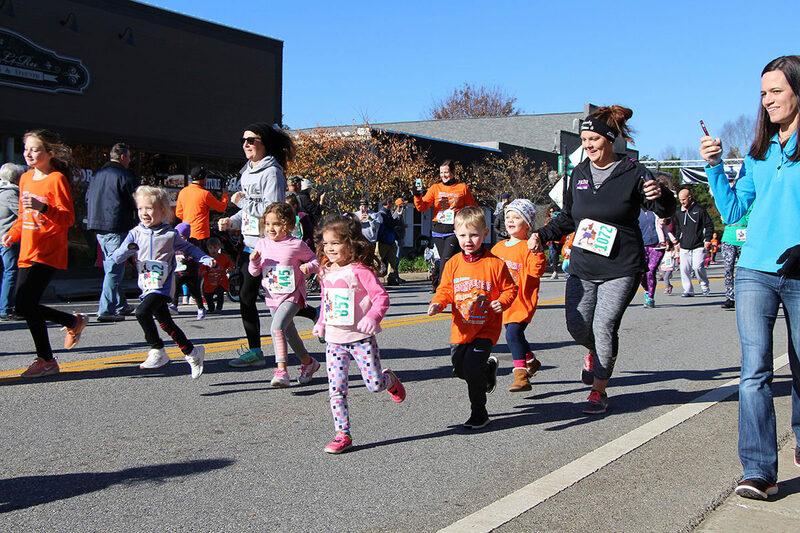 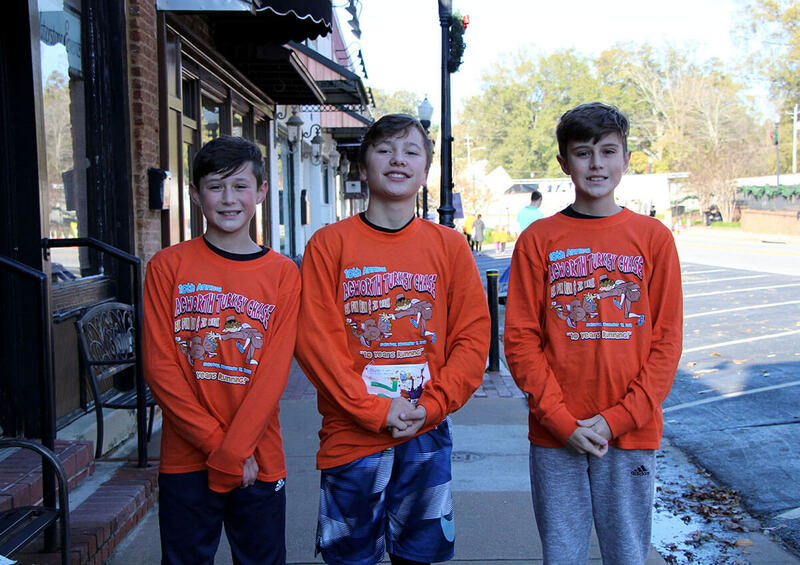 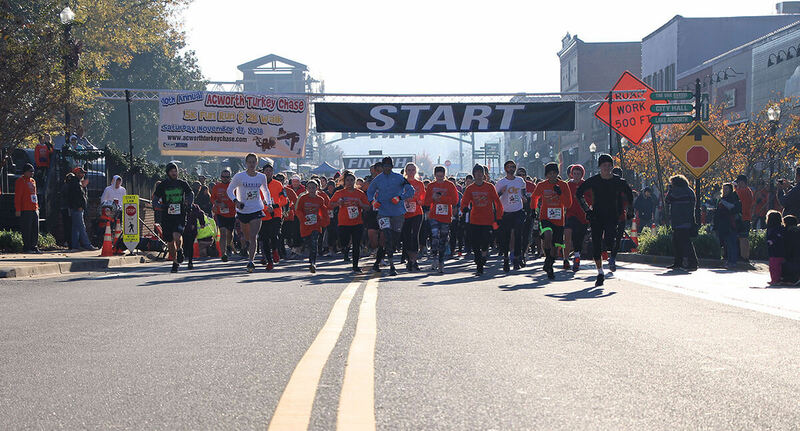 The 10th annual Turkey Chase 5K Fun Run & 2K Walk, presented by Acworth Parks, Recreation and Community Resource Department, was a chance for the locals to enjoy a little exercise on a nice November day, while providing food for folks in need. 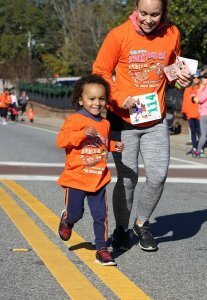 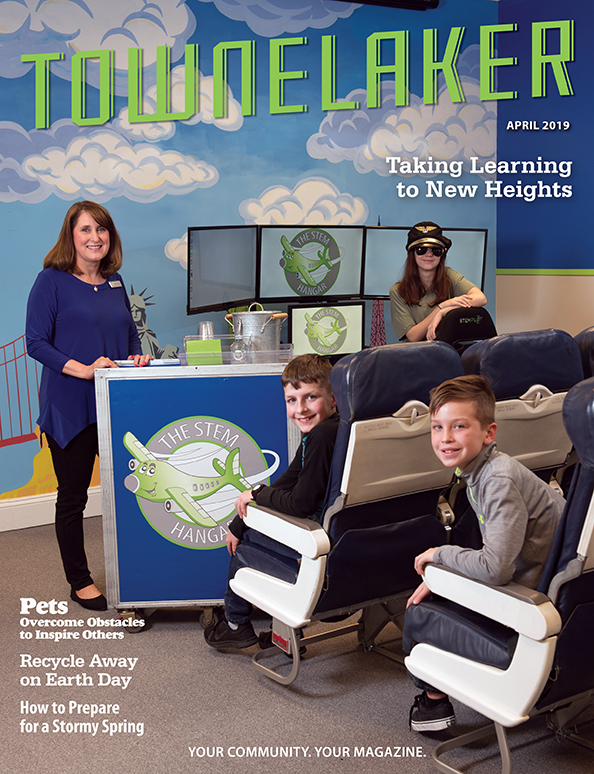 The event was open to all ages and abilities. 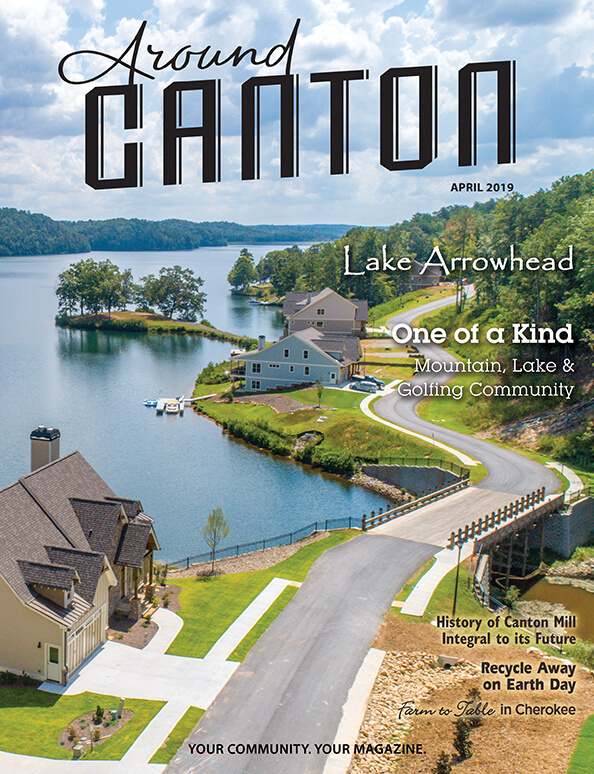 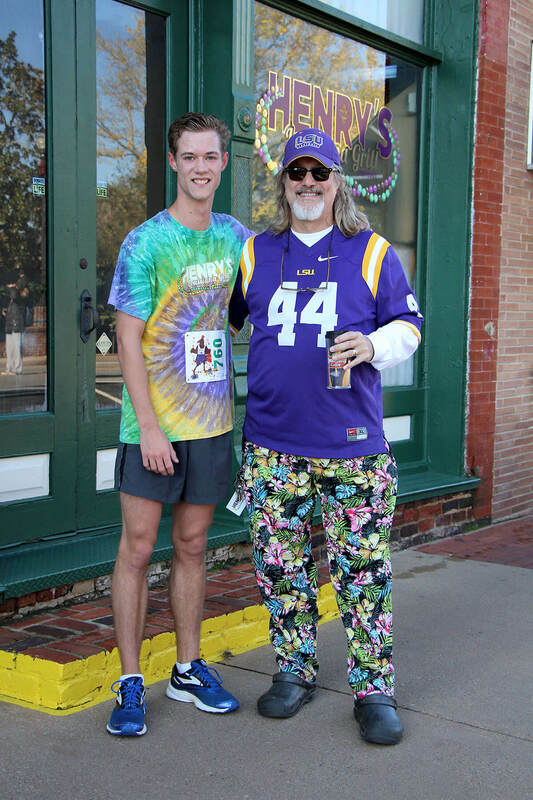 Participants were asked to bring non-perishable food items for the Tackle Hunger Program. The Ramos Family at the finish line. 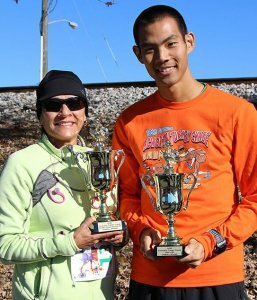 Top men’s and women’s overall winners Laura Chamberlin and Masato Kan.
Roman Booker having fun during the “Little Pilgrim” Trot. 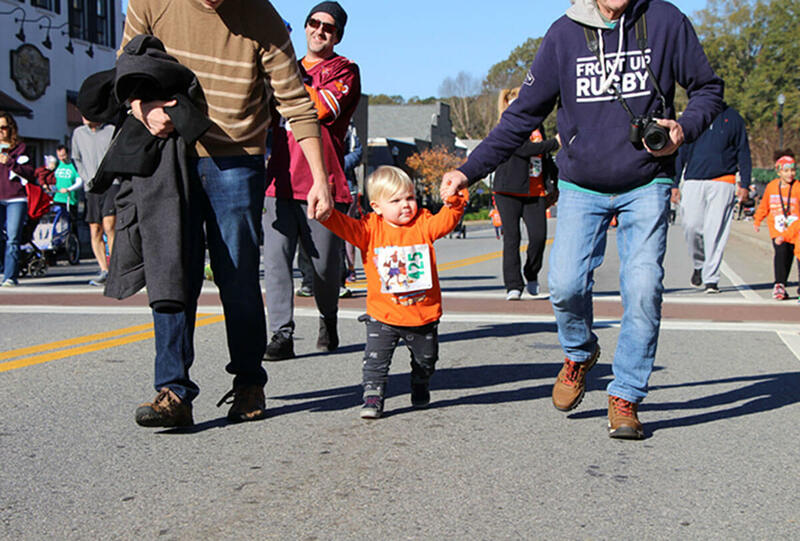 The “Little Pilgrim” Trot was fun for all. Cameron and Olivia James enjoying the “Little Pilgrim” Trot. 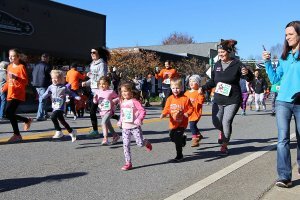 Parents encouraging their children during the “Little Pilgrim” Trot. Misdy, Marley and Dansby the dog. 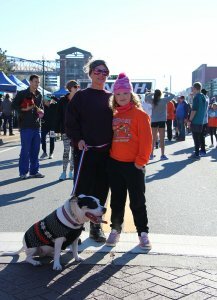 La Hanson and Niko the dog. 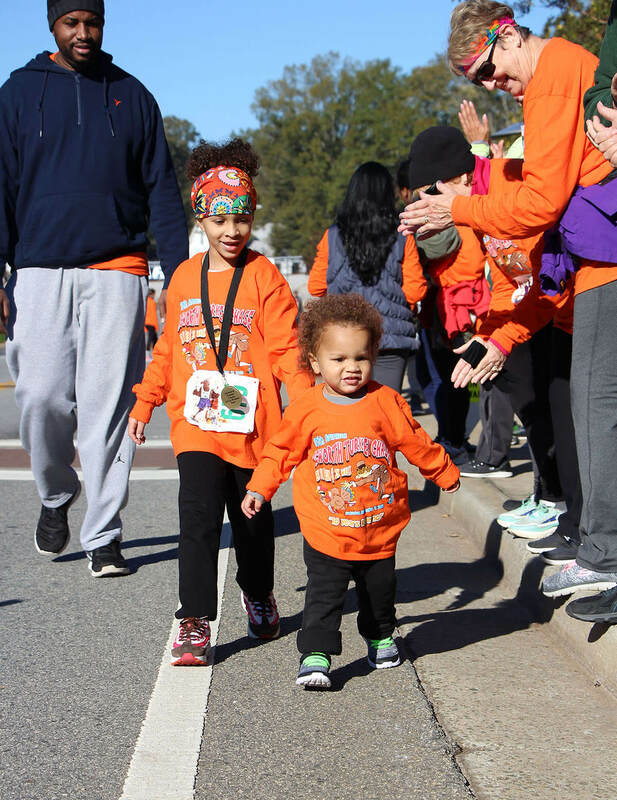 Caleb Roby and Kayleen Winfrey. 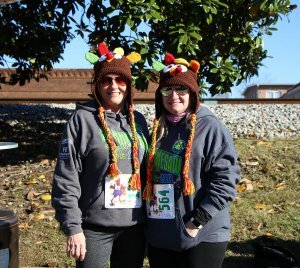 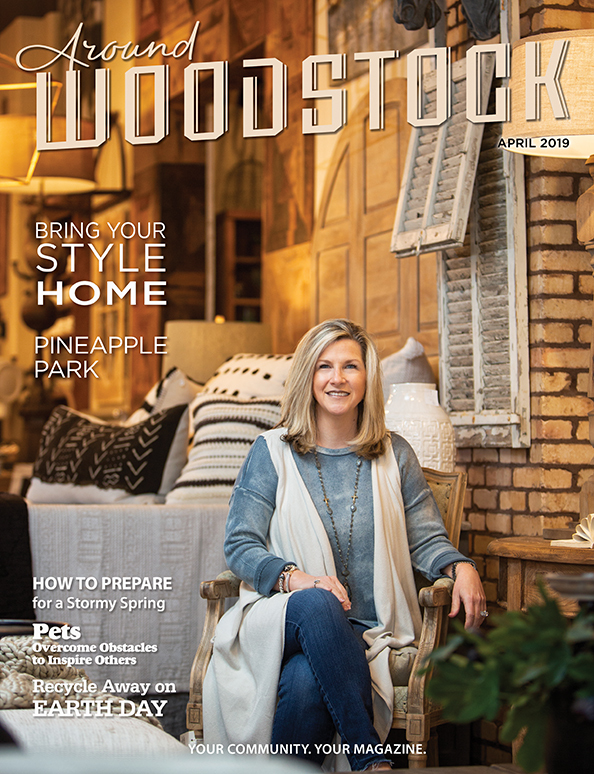 Laura Carlino and Melissa Craft. 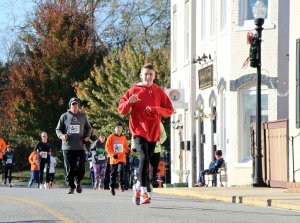 2018 Turkey Chase finish line. 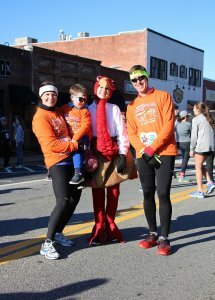 Victoria Grant, Shawn Grant, Townsend Amick and Harp Grant. Logan McKay and Chef Henry after the race. 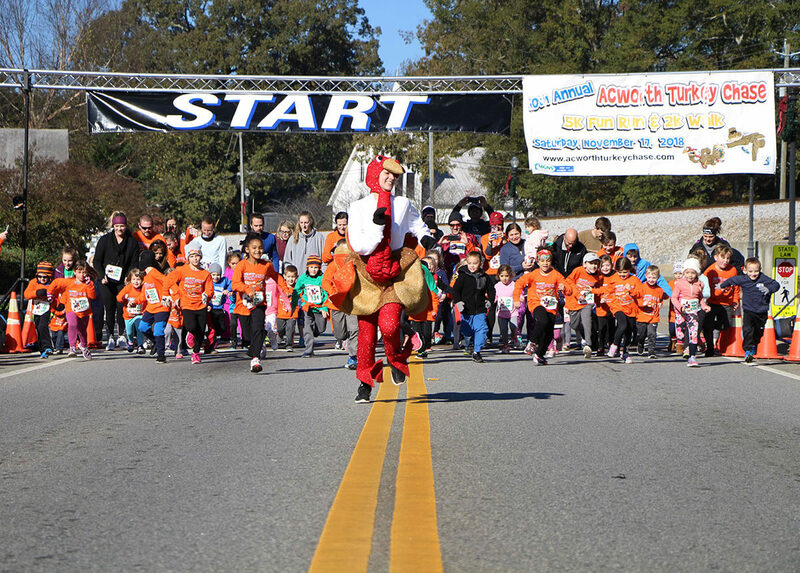 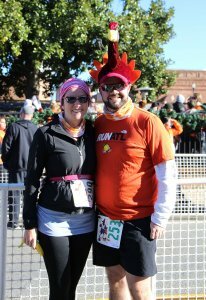 Participants in the 10th annual Turkey Chase. Kaleb, Noah and Ma Makar. The start of the 2018 Turkey Chase.